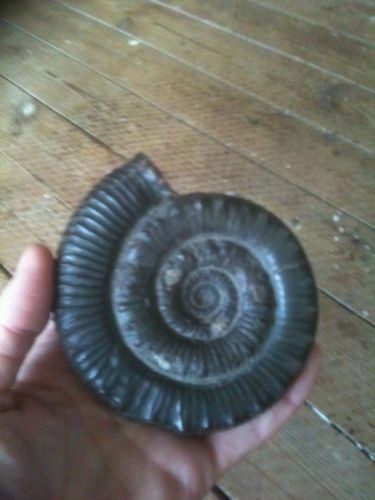 I bought the ammonite in the picture above on eBay UK in the middle of December 2013 and had it sent to a friend in the Whitby area to save postage – and I did not want it to get lost in the Christmas post rush on the way to Germany. The courier’s tracking log shows delivery on December 19, shortly before 6 pm – but our friend was not in at the time, no package was in the post box and no note to say where it was delivered instead. 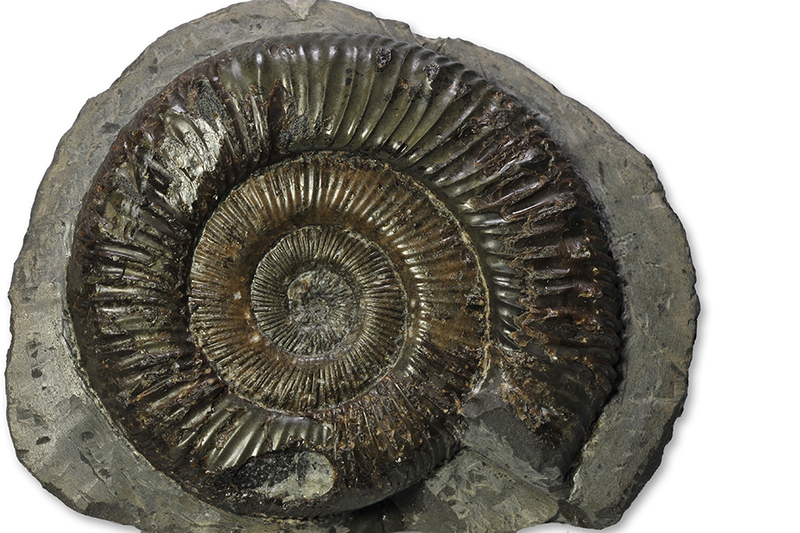 All searches around the house and inquiries at the neighbours brought up no result, the courier insists it was delivered – in effect it seems the ammonite is lost. 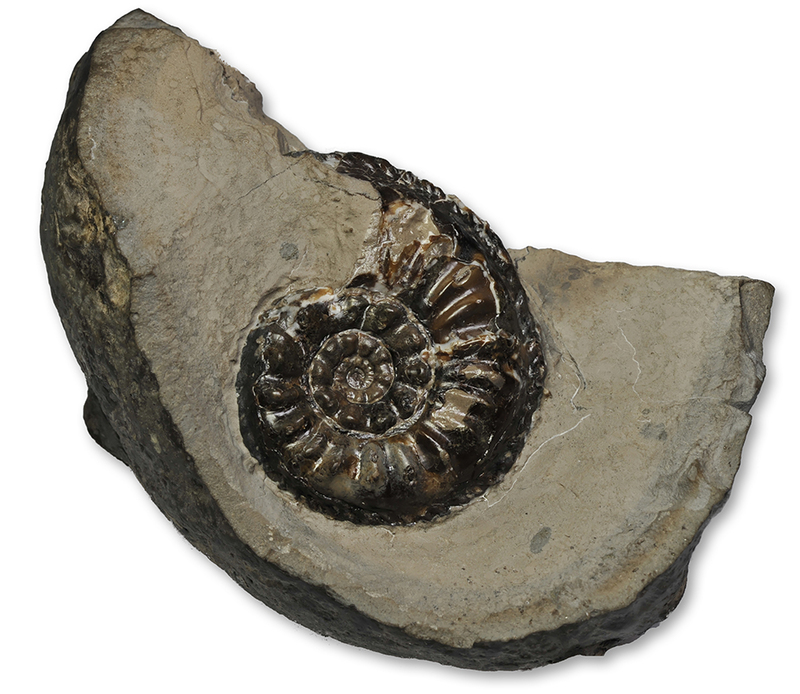 I was really looking forward to this ammonite – it looks like it could have been the center piece for the next post – Should it turn up anywhere, just let me know. So if you see the same species name under another genus, e.g. 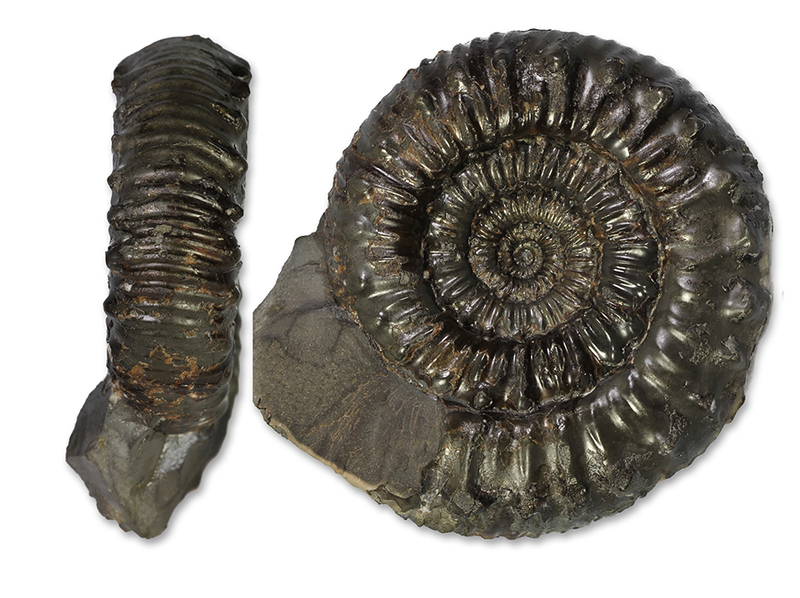 Catacoeloceras perarmatum – it’s the same ammonite. I have only added synonyms to the species below if the synonym has a different species name. 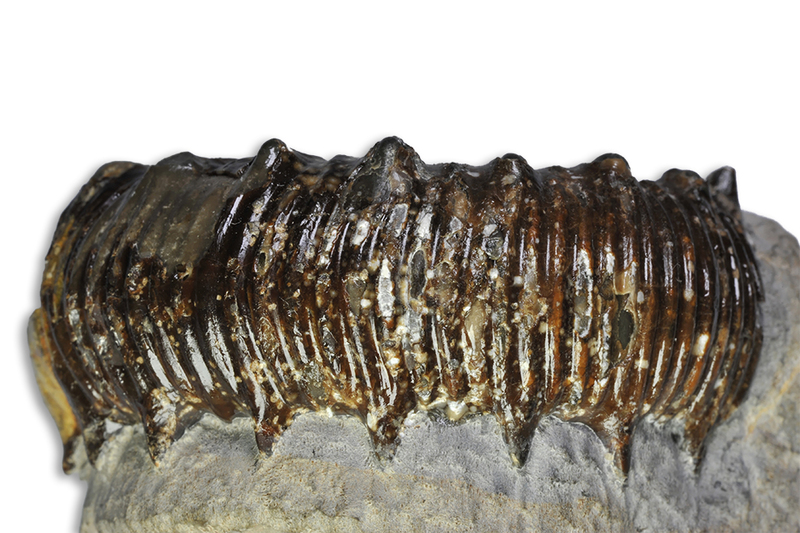 What unites these species is their stratigraphical range (lower part of fibulatum subzone, Whitby beds 60-63 of the lower toarcian)), and their principal style of ribbing (fibulation – ribs pairwise looped together, forming a tubercle at the end, see graphic below), so HOWARTH placed them into one genus instead of dividing them into different genera. P. turriculatum has very fine ribbing until approx. 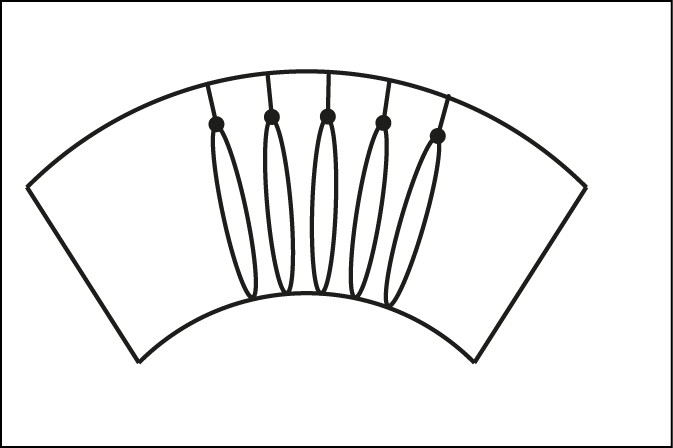 3-4 cm. Ribs are sometimes looped together, but tubercles are very small or occur only occasionally. On the outer whorl, nearly every primary rib carries a stong tubercle. The ribs cross the venter bending foward towards the aperture, almost at an angle. 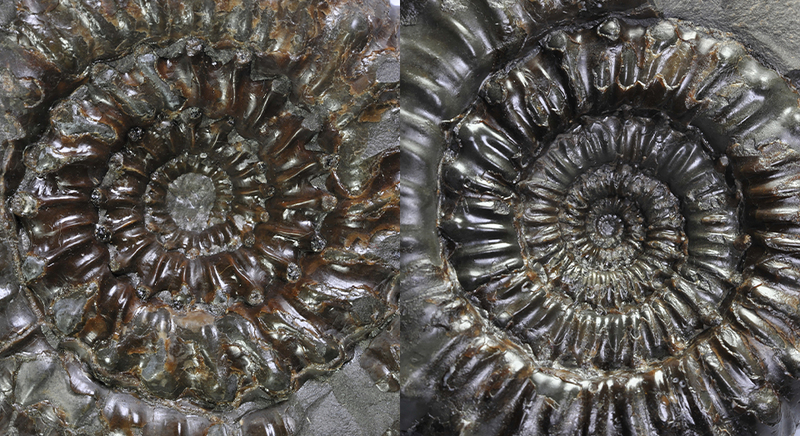 When I compared one of the ammonites from the previous post about Dactylioceras (link) – I had then called it D. cf. 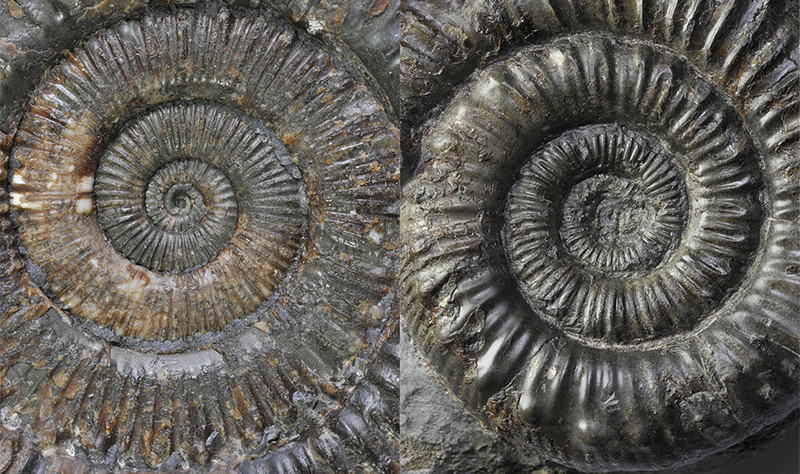 athleticum – with the P. turriculatum in the first picture at the top of this post, it occurred to me that there is just a small step, the addition of fibulation, to go from this ammonite to a P. turriculatum. 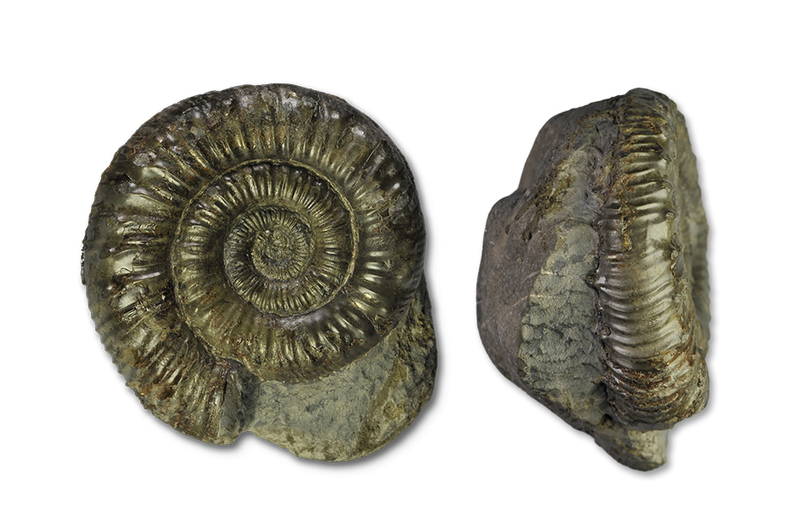 HOWARTH frequently names Dactylioceras praepositum (BUCKMAN) as a possible ancestor to P. turriculatum, unfortunately the figure of the holotype in BUCKMAN´s Yorkshire Type Ammonites 6, table DCCI, is somewhat blurry and I have found no other good figure in any other publication – but I think this is it – I´ll have to change the name of this one to Dactylioceras cf. praepositum (BUCKMAN). 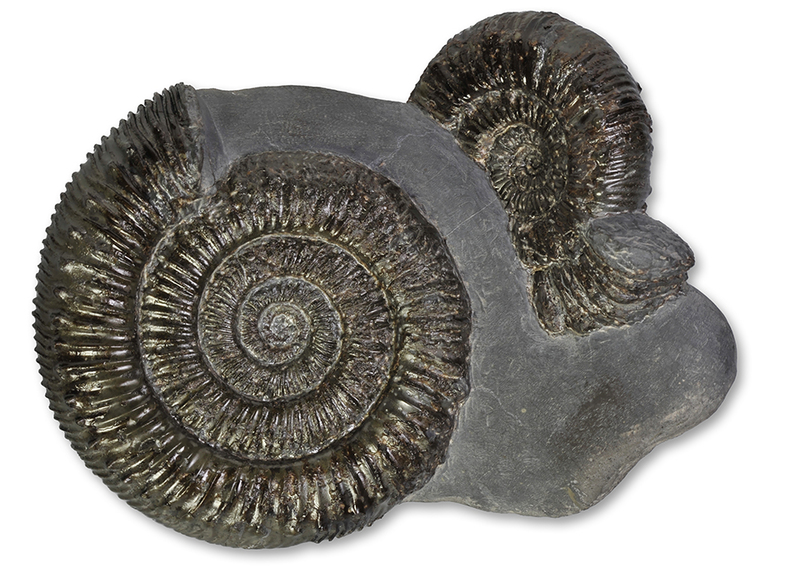 P. fibulatum has stronger ribbing on inner whorls and fibulation is rather the rule than the exception. Ribs are crossing the venter bending forwards, but in a less angled, more convex way than P. turriculatum. 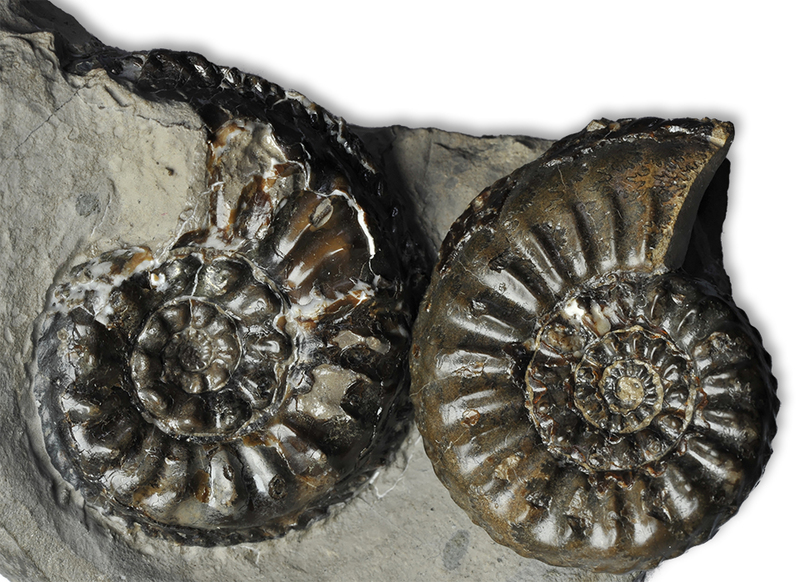 P. subarmatum is a more depressed (thicker) ammonite, with strong tubercles and fibulation also on the inner whorls. P. perarmatum differs from P. subarmatum in having mostly wider spaced, single ribs on the inner whorls. It tends to have even thicker whorls and very strong tubercles. 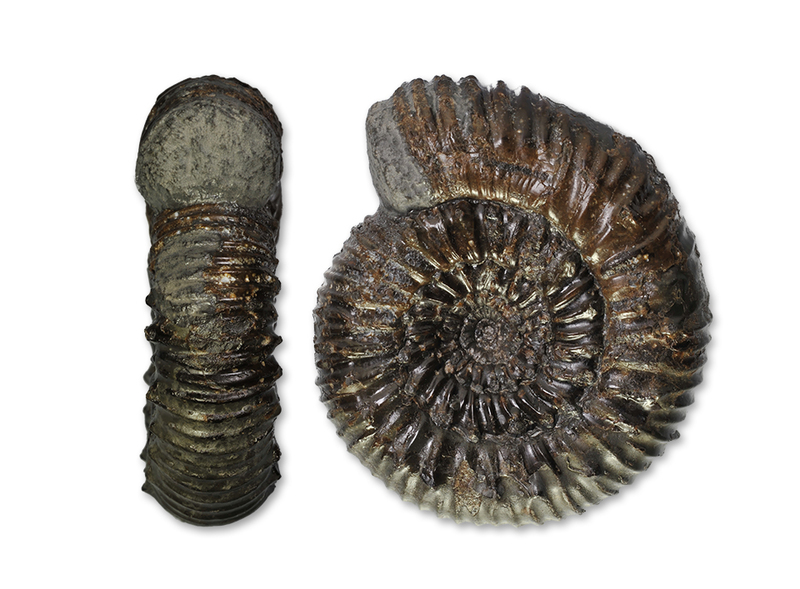 Comparison of the inner whorls between Peronoceras turriculatum (left) and Peronoceras fibulatum (right), width of view both about 5 cm. 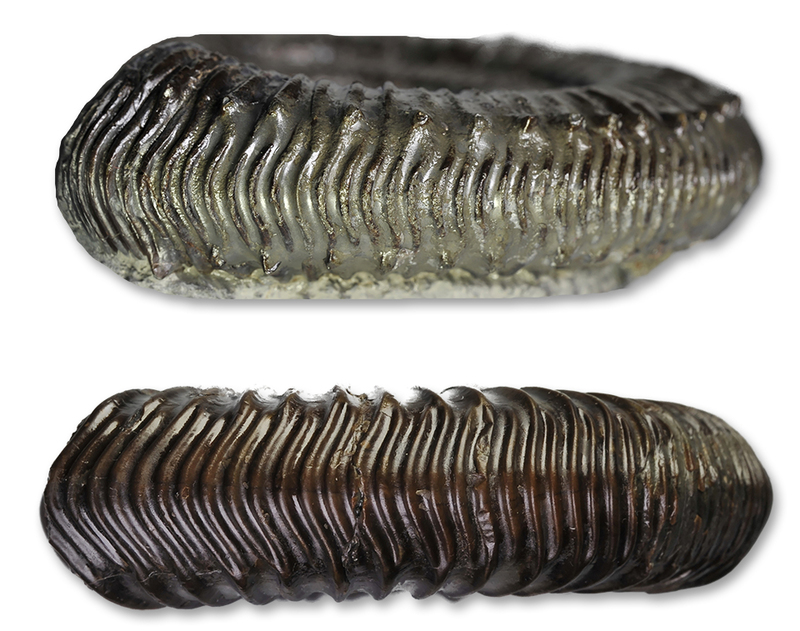 Comparison of the inner whorls between Peronoceras perarmatum (left) and Peronoceras subarmatum (right), width of view both about 5 cm.